Savlon disinfectant liquid is powerful yet lethal in fighting against germs, giving you the reassurance for day-to-day protection against germs causing diseases. This liquid is your one stop solution for keeping your home, washrooms, offices and hard surfaces extremely hygienic and germ free. 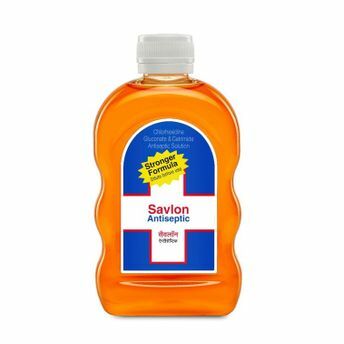 With this disinfectant, you can be reassured that your well being is in safe bounds, which offers effective skin friendly protection by being extremely gentle on the skin and tough on germs.